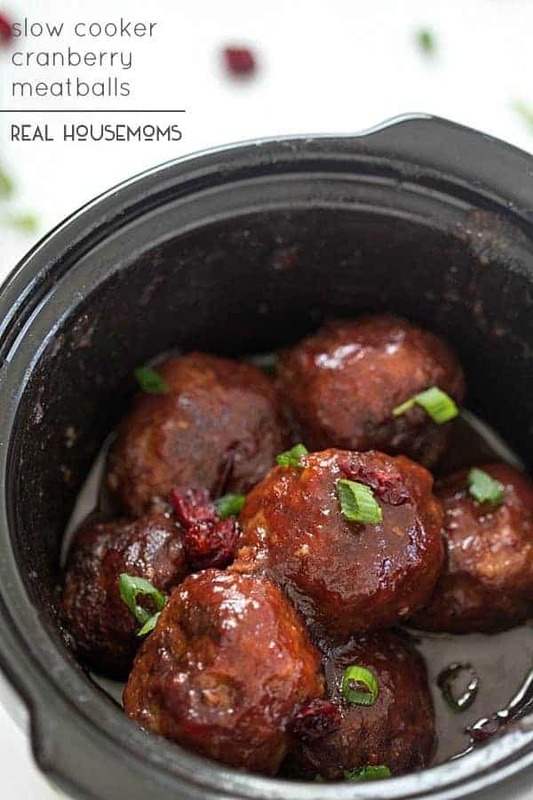 Slow Cooker Cranberry Meatballs take just a few ingredients and they disappear so quickly! 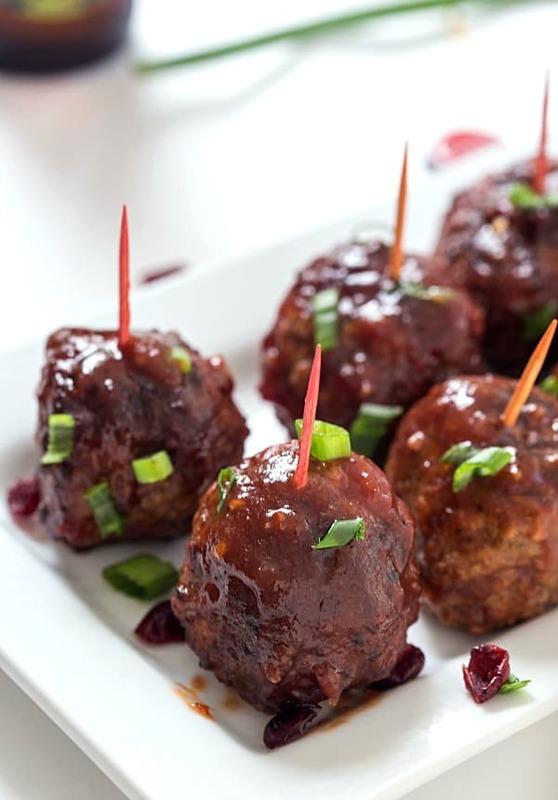 Who knew cranberry sauce plus other ingredients combined could make the most flavorful meatballs ever? The other day, I would have told you, “You are lying. No way!” And today I am coming to tell you, you must make these meatballs soon! They’re one of the best crock pot recipes for the holidays! I took the easy way and bought frozen Angus beef meatballs from our local warehouse store, and these are the best. Pour the ingredients into a mixing bowl, whisk them together, add the meatballs to the slow cooker and pour the sauce over. Cook long and slow for at least 2 hours on high or 4 hours on low. We weren’t able to wait the 4 hours, so I made slow cooked them on high. Place thawed meatballs into a 2 quart or larger slow cooker. Whisk together cranberry sauce, ketchup, water, soy sauce, ground ginger, garlic powder, crushed red pepper flakes, and light brown sugar in a medium mixing bowl. Pour the sauce on top of the meatballs. Cook on high for 2 hours or on low for 4 hours. Garnish with dried cranberries and scallions. These look absolutely delicious!!! I’m always on the lookout for good meatball recipes, thanks for sharing! I made this for Christmas – it was DELICIOUS! My whole family of “foodies” gobbled these up. This will be a family holiday favorite for years to come. THANKS! Made these for Thanksgiving. We had a bunch of ppl over and they were the bomb with everyone. We will have these again. Thank you! So great!! I love them too. Thank you Nancy. I have been making these for years and I use a can of whole cranberry sauce and 1 jar of Chili Sauce. Yummy! 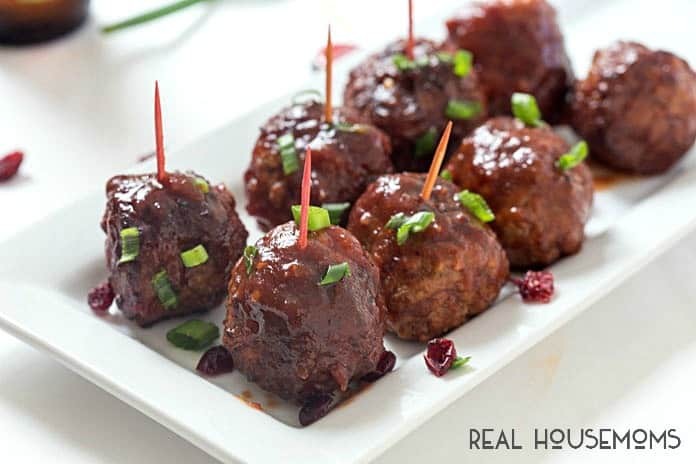 You just can’t go wrong with the flavor of these meatballs! !